Riley and I both have eczema. I am pretty sure it's inherited, since my grandmother had skin problems too. It's sometimes unbearable. This is what it looks like on me. 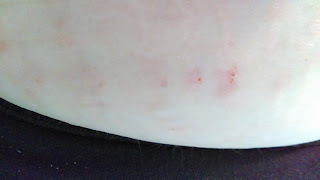 See the red lines and bumps? That's it. It's itchy, and I scratch it raw several times a day. We have both tried different eczema products (there are quite a few out there!) but recently, we were sent some by Cetaphil, and I can honestly say it WORKS great! For more than 60 years, we have formulated Cetaphil products for eczema and very dry skin with solutions for adults and children as young as 3 months. 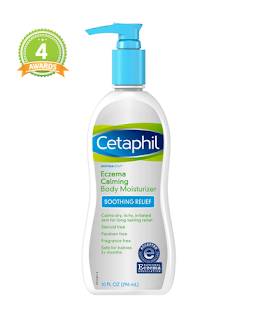 Many Cetaphil products are strong enough to clean thoroughly, yet gentle enough not to further irritate sensitive skin. I have been using the body wash for a few days now, and the redness and itchyness have started to go away, Riley uses the moisturizer when he has an outbreak and it's keeping it from getting really bad! 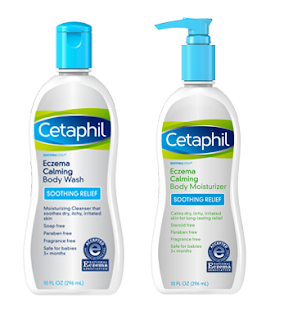 You can check out the whole line of Cetaphil products here.